You served your country. Now let me and your country return the favor with special financing just for veterans. VA loans reward veterans for their service and sacrifice on behalf of our country in a number of ways. homeowners with money-saving refinance options. Let an experienced VA financing professional at Waterstone Mortgage help you navigate the VA loan process. Get started with a pre-qualification today. Subject to credit approval. A VA loan is a government-insured loan subject to certain qualifications and restrictions. A VA funding fee is typically required, which can be financed into the loan amount. 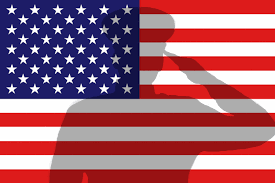 If you are a servicemember on active duty, prior to seeking a refinance of your existing loan, consult yourlegal advisor regarding the loss of any benefits you are entitled to under the Servicemembers Civil Relief Act or applicable state law. PreviousHey TRID, why is my client paying 69.45% interest?? NextHome Prices & Appraised Values -Sellers need to sell their homes twice?